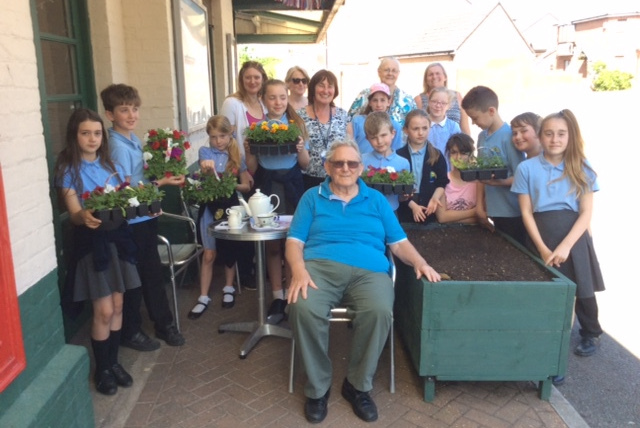 Children and their teachers from Sandown Bay School filled planters with colourful blooms and native herbs, replacing plants removed or damaged by vandals earlier this year. 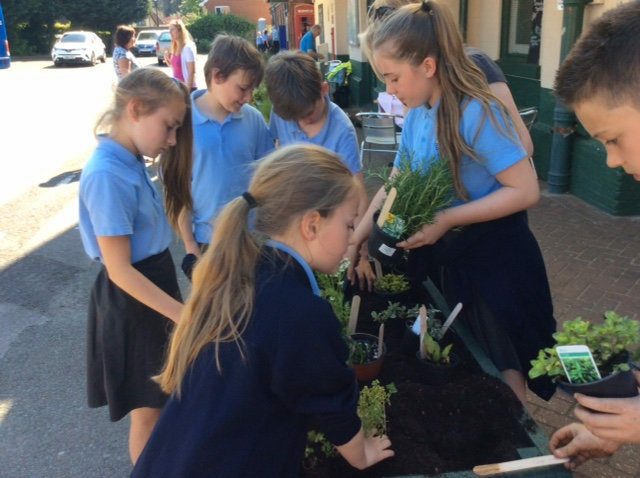 Green-fingered primary school children rallied round to plant flowers and herbs at Sandown station on Tuesday following recent vandalism. Wreckers had not only removed hanging baskets and other floral arrangements from outside the station and on the platform but they also damaged the station’s popular Gaslight café and toilet. It has all now been repaired. Youngsters from the school had already planted ten fruit trees, given by Graham Deacon, of Deacon’s Nursery, Godshill, at the station. Tuesday’s event, organised by Bill Wyke who runs the after school club Community Kids, was attended by Sandown North Cllr Debbie Andre and Community Rail Partnership Officer Bobby Lock-Dean.